Our Sheep Trail launches December 1! 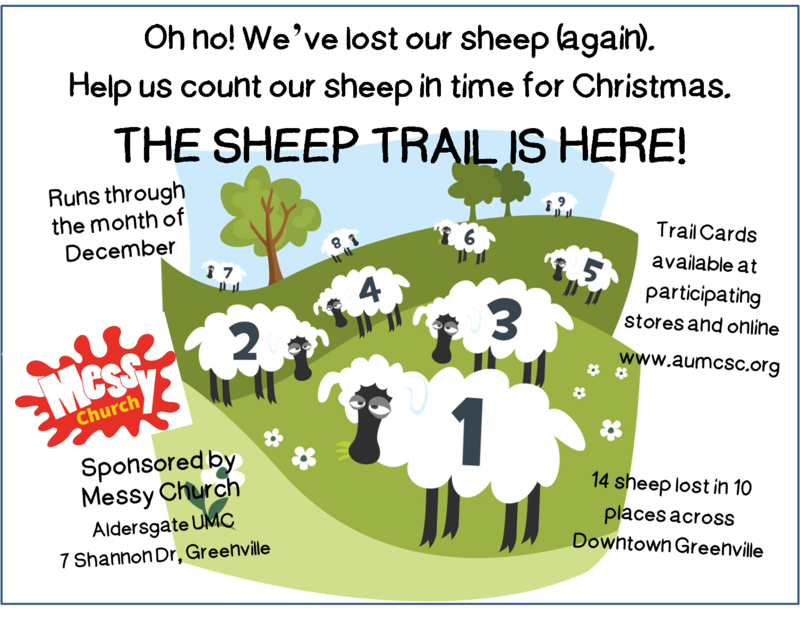 Our Sheep Trail was so much fun it made the Greenville News! Follow us on Social Media! For all things Messy Church, follow our Facebook page. And for Sheep Trail fun, follow our Trail on Instagram.